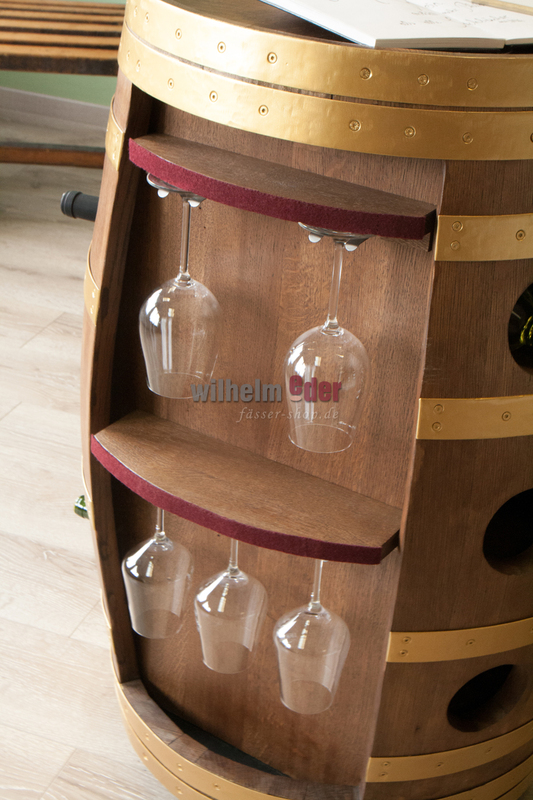 Product information "FassStolz® Wine bar"
An exclusive wine shelf made of a used 225 l wine barrel which has been converted into a mobile and heavy wine bar in elaborate craftsmanship. The barrel has been professionally cleaned, then dried up and glued. 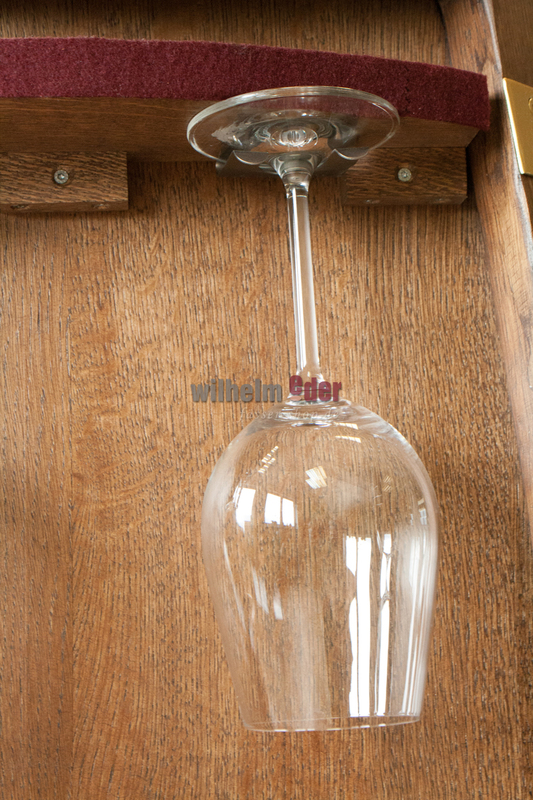 A shelf system for wine bottles with support to content of 150 cl has been installed inside of the barrel. 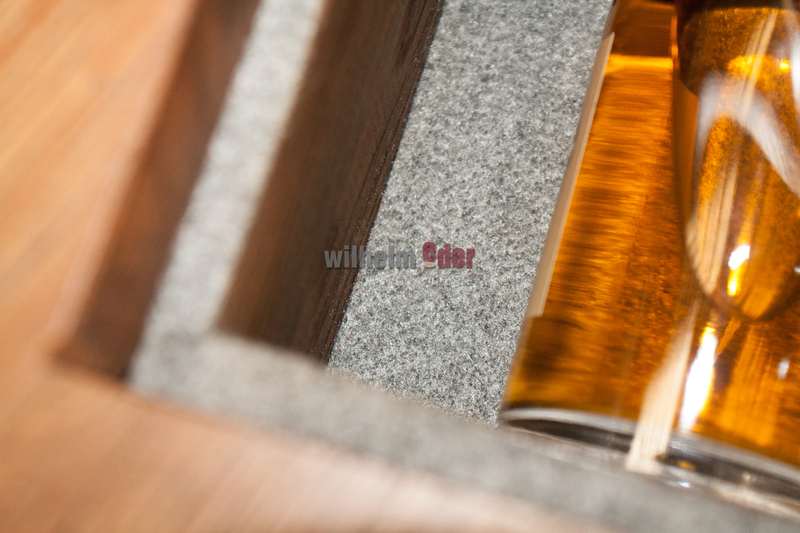 The shelf is made of oak wood as well as the barrel. 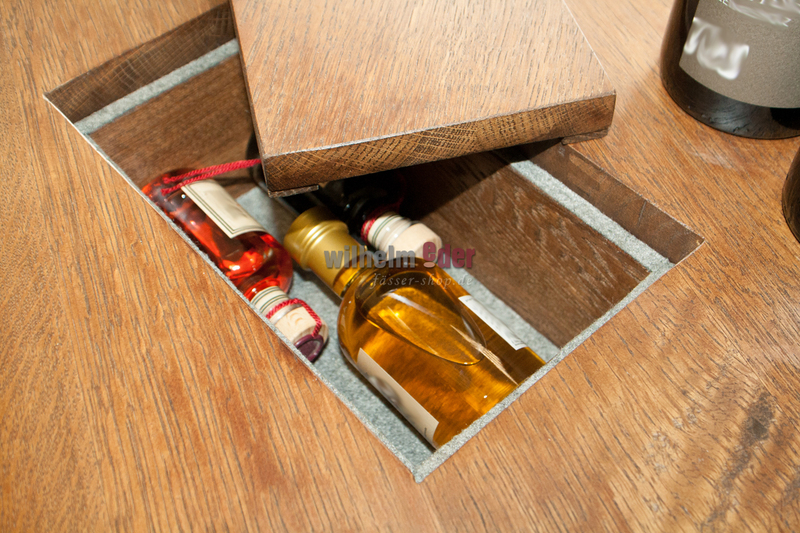 Opened on the side, the shelf holder offers space for five wine glasses which can stored and moved in a secure manner. 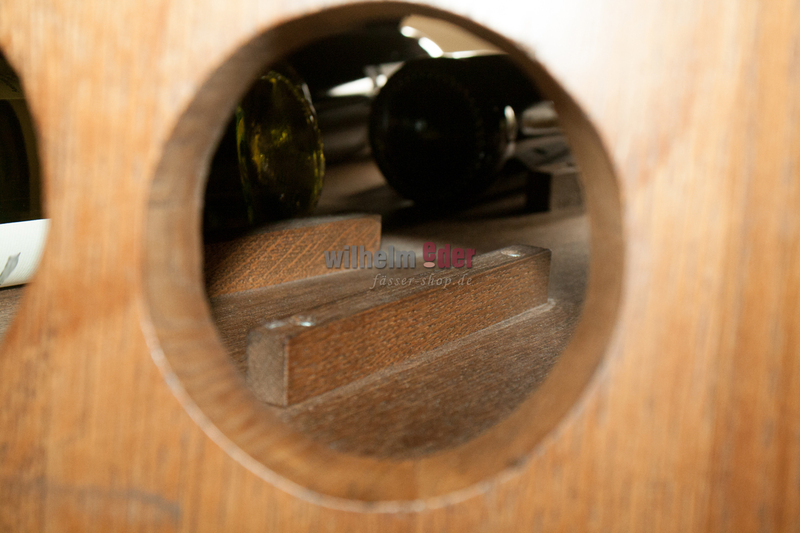 The edges of the glass shelves have been coated with Bordeaux red. 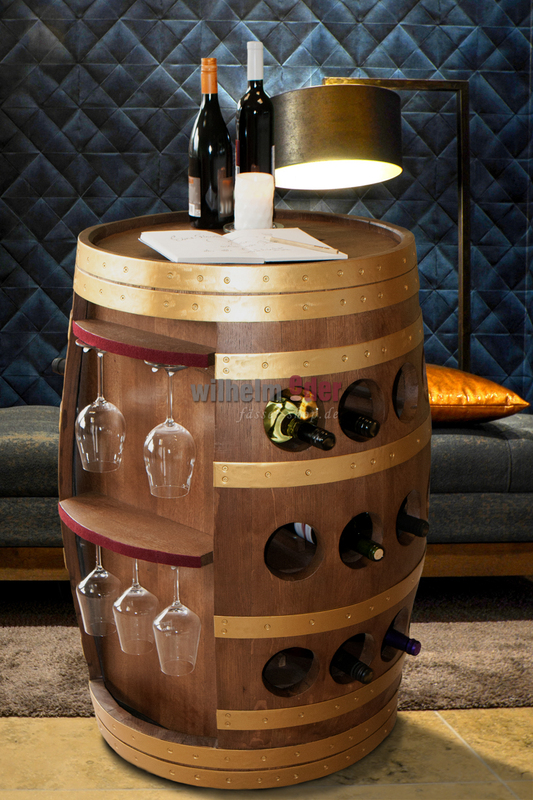 At the top of the bar is a secret panel for storing corkscrews, drop stops and napkins etc. 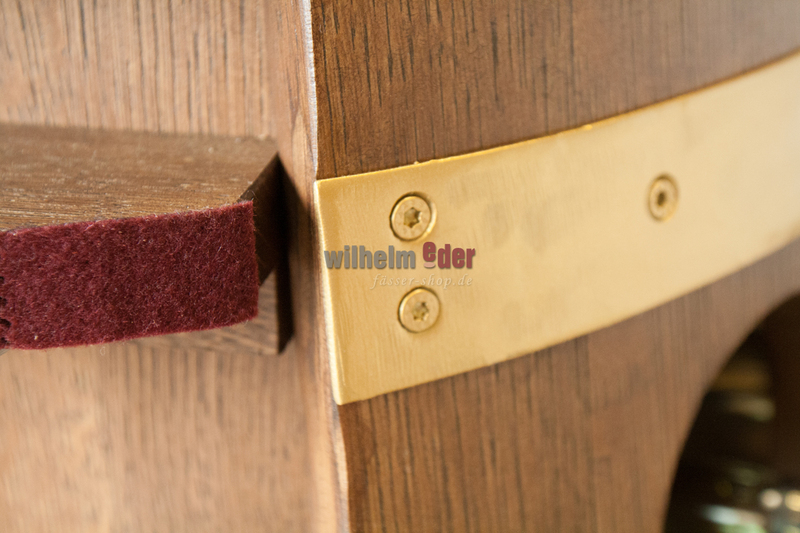 For an individual touch we recommend a laserbranding of your logo or signature on the top. The barrel, as well as the support edges for the top, are designed with gray felt, which creates a warm and quiet feel. The bar is easy and soundless to move thanks to the gummed rolls. A parking break is also included. 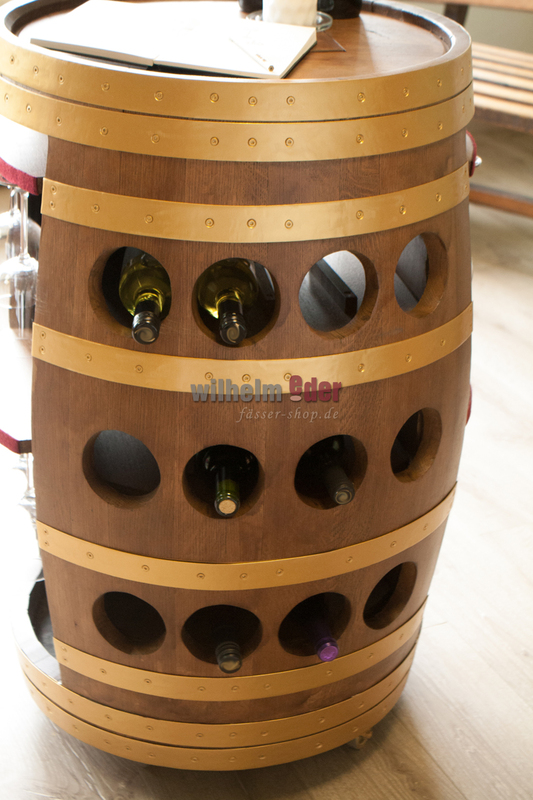 The barrel and the hoops will be stained or painted in your desired color. In the picture the barrel has been painted in an antique oak look and brass colored hoops.